I have tons of Halloween decorations and stuff but fall decor is a different story. 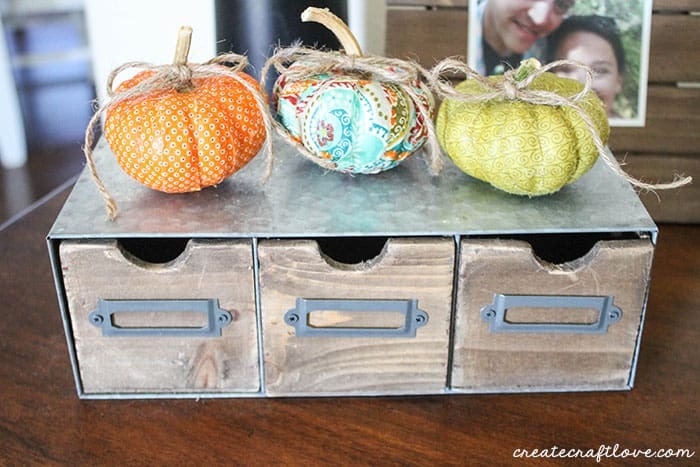 When I started decorating for fall at the beginning of September, I realized I needed something little to fill in on the end tables and entry way tables. Last year I used those little pumpkins you can get at the grocery store. But I wanted something with a little more pop of color. 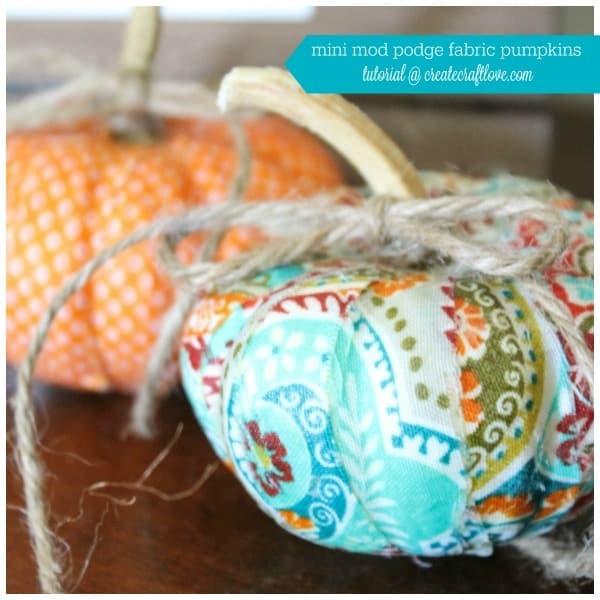 These Mini Mod Podge Fabric Pumpkins are a bright and colorful way to add fall decor to your home! As a kid, did you like pouring glue on your hand, letting it dry and peel off? 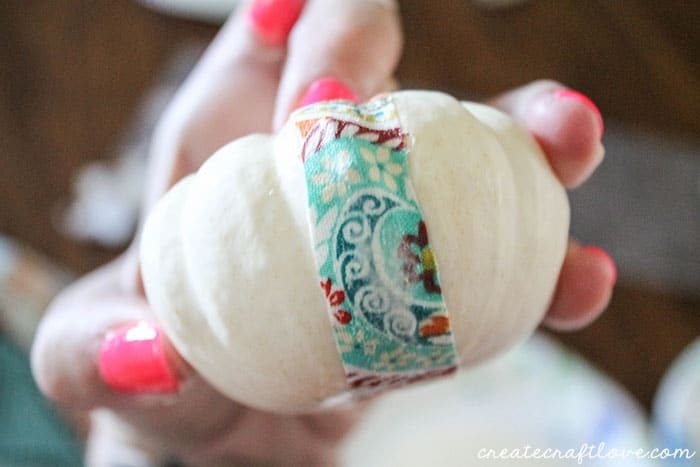 Well, if you answered yes, this is the craft project for you! In other words, things are about to get messy. You’ve been warned. 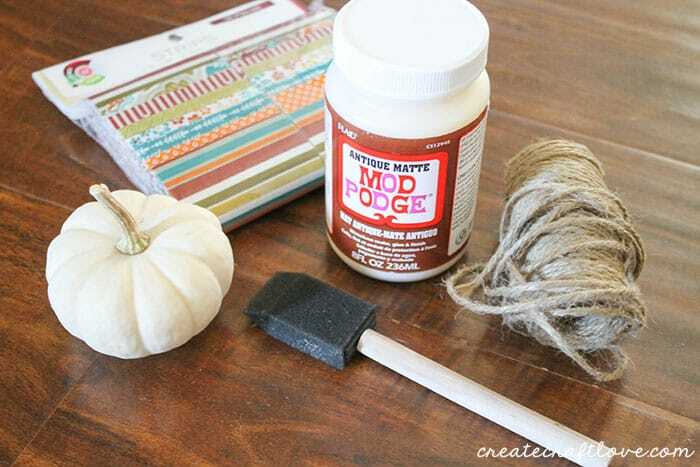 I used the antique matte Mod Podge because it was all I had laying around the house. Pick which fabric strips you want to use. I cut five 4 inch sections from each strip. Then, I cut those length wise four times. 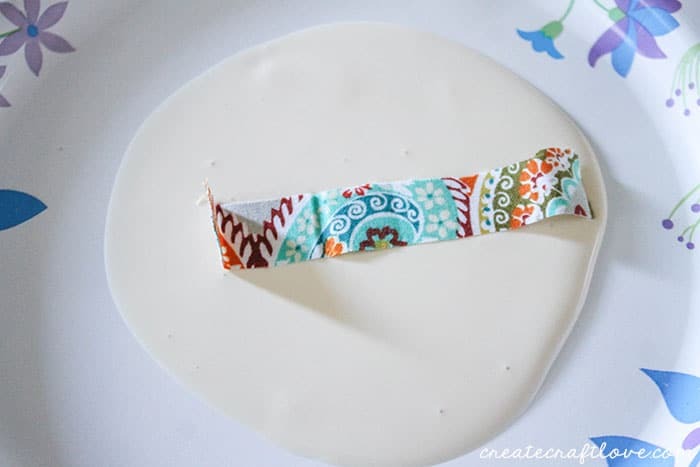 Lay out a paper plate and pour the Mod Podge on the plate. Now here’s where things get messy. 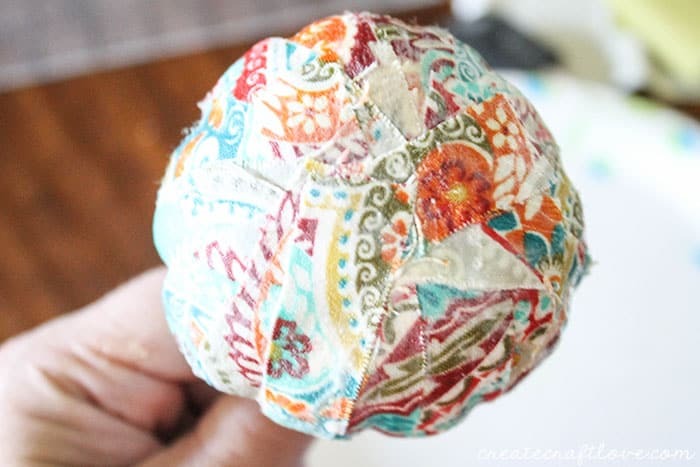 You want to coat each strip of fabric in the Mod Podge. I made sure that each strip was slimy and full of glue. 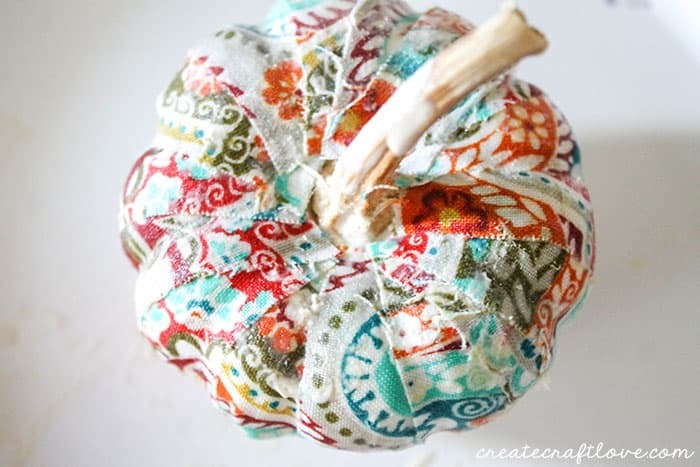 Once your strip of fabric is sufficiently “goo-ed”, add to the pumpkin. Place the end next to the stem and wrap it around to the bottom. 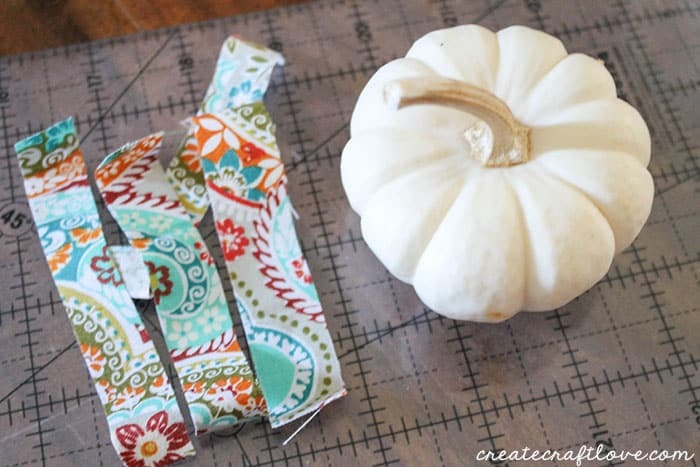 Use your fingers to press the fabric into all of the groves of the pumpkin. You want to maintain the integrity and shape of the pumpkin. Continue this process until the pumpkin is covered in fabric. See how you can still see the pumpkin’s shape? Set aside and allow to dry. It took about an hour before it was completely dry. You may have to turn it over and let the bottom get some air to dry. 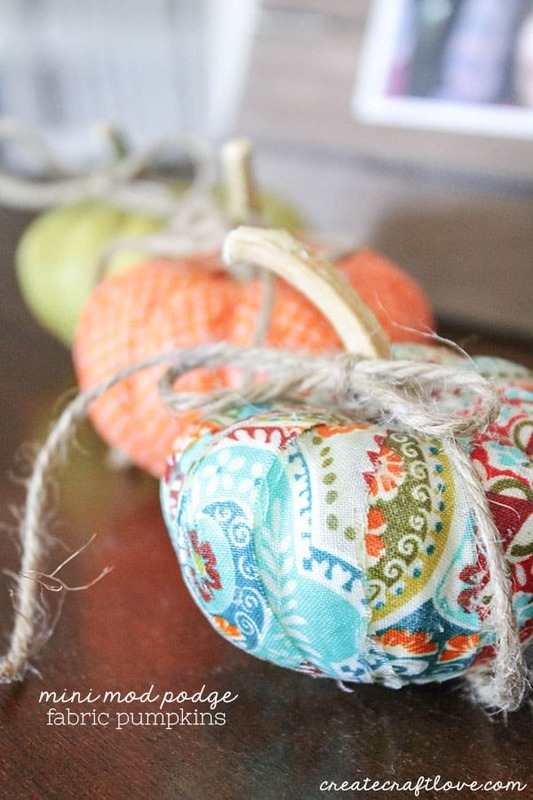 Once the pumpkin is dry, add some twine at the base of the stem and tie into a bow. 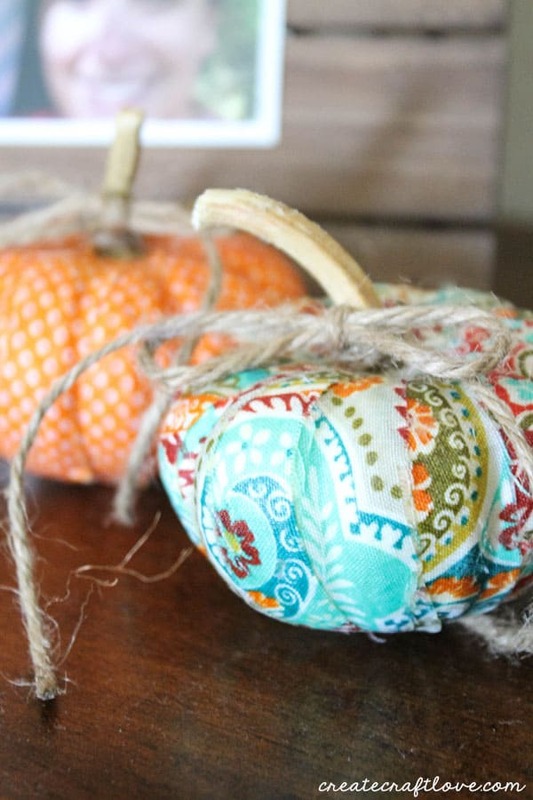 They go well with my Mason Jar Fall Luminary! You can check that out HERE!